Network video product firm Axis Communications and Kowa Company have introduced P-Iris. It’s described as an iris control that allows fixed network cameras to deliver better image quality in both indoor and outdoor applications. A P-Iris lens, with specialized software, can automatically and precisely regulate the iris opening to enable better contrast, clarity, resolution and depth of field. The iris control will be the firms say beneficial for megapixel/HDTV cameras and demanding video surveillance applications. "P-Iris allows fixed network cameras to reach a new level of performance in image quality," said Johan Paulsson, Chief Technology Officer at Axis Communications, the global leader in the network video market. "This is a revolutionary improvement for video surveillance cameras and for the industry in general as we expect P-Iris to become a standard that eventually replaces DC-iris lenses." DC-iris (auto-iris) control for surveillance cameras with fixed/varifocal lenses does not enable the camera or user to know the exact position of the iris opening, which is needed in order to optimise image clarity. Axis saw a need to solve this and found Kowa, an optics manufacturer. "The P-Iris lens uses a stepper motor that allows the position of the iris opening to be precisely controlled," said Tosao Tohjima, Technical Director at Kowa CCTV Products. "P-Iris is an innovative solution that truly allows a network camera, particularly a megapixel network camera, to perform optimally in all lighting conditions." A megapixel camera, which generally has smaller pixels than a standard resolution camera, can take advantage of P-Iris to maintain the delivery of crisp, high-resolution images, even in difficult lighting situations. A P-Iris lens works together with software in the network camera to automatically provide the best iris position for optimal image quality in all lighting conditions. Images will be sharper, with better contrast, resolution and depth of field. Having good depth of field-where objects at different distances from the camera are in focus simultaneously-is important in the video monitoring of, for example, a long corridor or parking lot. In very bright situations, P-Iris limits the closing of the iris to avoid blurring (diffraction) caused when the iris opening becomes too small. This can typically happen in cameras that use DC-iris lenses in combination especially with megapixel sensors that have small pixels. 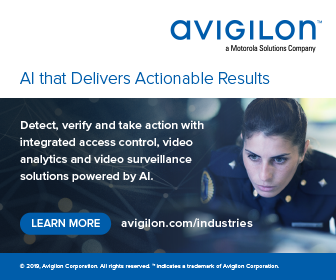 Being able to avoid diffraction and at the same time benefit from an automatically controlled iris is highly valued in outdoor video surveillance applications. P-Iris will be incorporated in upcoming Axis network cameras, beginning with the 3-megapixel AXIS P1346 Network Camera, which was showcased at the IFSEC tradeshow in Birmingham.